Depreciation is basically the decrease in value of a particular asset such as a property, vehicle, furniture or equipment. There are certain factors that affect depreciation and these are time and property’s current condition. If you own an old property, it would be beneficial to compute its depreciation value so that you can obtain a lower payment in your annual tax. The greatest benefit of having your property assessed is that you pay lower tax because its value depreciates over time. With this, you will need to use some tools in order to get the most accurate value of your property. Through depreciation, you are able to recover some of the costing you have spent for the construction and development of your investment. The property must be owned by the taxpayer. You can apply for a tax reduction if the property is legitimately under your name. As an owner, you can have your property be inspected for depreciation value purposes. Since the Australian Tax Office or ATO is in charge in monitoring and implementing tax rates in various businesses and sectors, your property will be assessed according to the ATO depreciation rates. Property must be used in a current business or any income-generating activity. You are eligible to apply for a depreciation assessment and tax reduction only if your property is currently functioning as venue for business or profit-producing industry. For example, if you own a building with a number of tenants. This means that there is an on-going business within the property. Depreciation on Real Estate is always dependent on the number of years or obsolescence therefore, the accuracy of the depreciation result will tell how much amount of money shall be deducted from your annual tax. The property must not only be operational, it must also obtain a life value of at least more than a year. This is to show that the property can still be benefited. 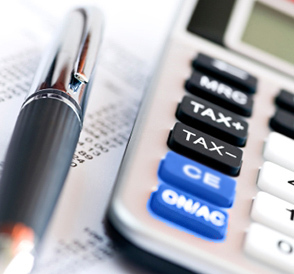 As a property owner, you have the right to enjoy a reduced amount in your annual tax payment. You can achieve this through an accurate depreciation procedure. Since depreciation can be a complex system, you can always hire a certified accountant or licensed service provider to do the calculation for you. You will need this document as proof that you are eligible for tax reduction.